The 6W / 120V Joyous Light Dimmable Full Spectrum LED PAR20 Flood Light Bulb from Alzo Digital is a 5500K light source that has the quality of a sunny day at midday. 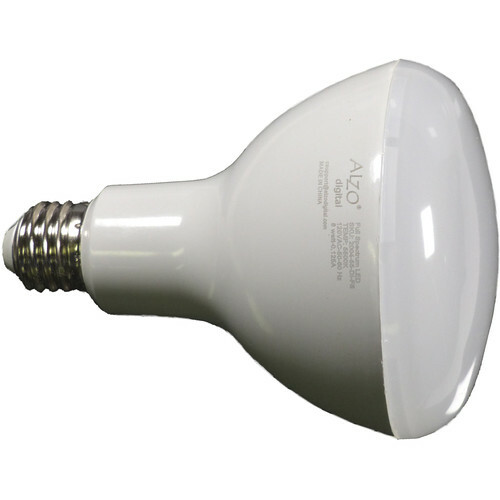 The bulb's CRI rating of 93 is an indication of superior color rendition, while its E26/27 household screw-in base offers numerous opportunities for use in the home or on the set. The Joyous Light bulb generates negligible heat and although it draws only 6W, it outputs the equivalent of a 60W tungsten light source. Box Dimensions (LxWxH) 3.9 x 2.65 x 2.65"